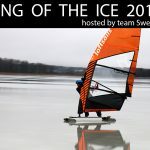 Wingsail for windsurfing – A game changer? 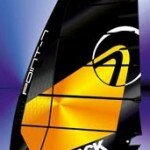 North Sails & Boardtests Windsurfing- A match made in heaven? Tabou Rocket continuous to receive excellent results in board tests. 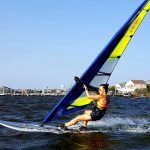 This season (2011) the Tabou Rocket 125 and the larger 145 have been updated, and comes with high quality foot straps and a high performance Tabou fin. Update 2013: The Tabou Rocket-range remains unchanged for 2013. Still scores best in test (Planchemag March-April 2013). Update 2012: The Tabou Rocket 125 and 145 remains unchanged for 2012. The Tabou Rocket offers you early planing and great acceleration. The Rocket is quite non techy (in a good way), it´s very easy to unlock the early planing and to go really fast. 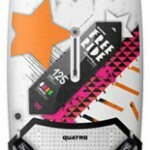 There are boards within the free ride segment, like Starboard Carve and Fanatic Hawk that have slightly higher top speed but the Tabou Rocket is really competitive thanks to high average speed (due to early planing and excellent acceleration) and great top end control. 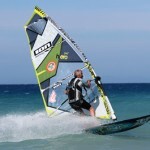 The new Tabou Rocket 125 and 145 offers more planing and better top end acceleration for 2011. The rocker has been smoothed out for quicker acceleration. 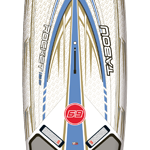 Tabou Rocket has also got a new outline combined with a small winger on the tail aiming to give the Rocket better top end control and a more active board feel. The increased double concave entry in the nose area will give the Rocket smoother characteristics. The Tabou Rocket is very stable under foot. 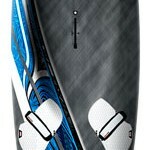 The hull design and large fin are incredibly effective at getting you up and planing. The Rocket lifts on to the plane extremely early and accelerates like a Rocket without requiring a massive amount of rider input or technique , making the Rocket the earliest and easiest planing board on test. 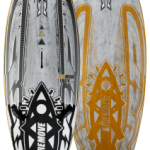 This is a quick board and it´s very easy to go fast on it, at the top end it can keep even the fastest of boards in check. Around the corners the Tabou Rocket remains controlled and stable. 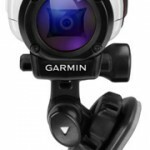 It maintains speed well through the gibe. If you want to plane early and go fast then you won´t be disappointed with the Tabou Rocket. The Tabou Rocket range remains the same for 2013. 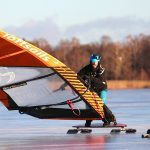 Still the Tabou Rocket is ranked “Best in test” in Planchemags Freeride test 2013, scoring 10 out of 10 when it comes to planing, controle, speed and gybing. 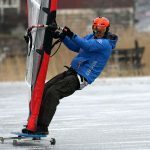 Plenchmag tested the Tabou Rocket against Exocet S Cross PRO Model 126, Fanatic Hawk Bamboo 125 and RRD Firestorm W Tech 120. A mio parere personale non ho mai trovato una tavola cosi performante,veloce,pratica,intuitiva,leggera,planante,divertente,in mezzo al chop non si sente nei piedi: insomma a dir poco è Fantastica!! Sono 9 anni che faccio windserf è ho provato tutte ma propio tutte le tavole de 4 anni sono passato al Tabou Roket e mi sono subito innamorato di questo giocattolo ma non l’ho cambio più. Peso più di 90 kg ma non ho più avuto problemi di planata ho testato la tavola a Torbole sul Garda una buona palestra per il freride e lo slalom ma credetemi non ho molti rivali in andatura sempre per merito del Tabou Soldi spesi più che Bene!!!!! Premetto che io ho LTD. The Rockets are so easy to sail and at the same time full of performance. 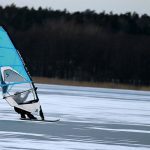 I have a 125L and it works far beyond the recommended wind and sail range. Simply match the fin with the sail size and away you go. Speed and blasting performance are huge. Jibes work very well. I’ve outrun formula boards (with superior sail power mind you) which isn’t easy to do in light winds, but the Rocket is up to the task. My main board will always be a Rocket 125L! The Rocket 125 is realy like a rocket, just a bit power and it’s gone (with the wind). The 125 feels like a 130 litre and when you will rige up smaller then 6.0 you’d better go to the 115 litre. But a 9.0 works very good on the 125L ! You just need 8knots to go into the plane. With a smaller vin you also easly sail with 6 – 7M2. Oh and also … it’s goes fast ! 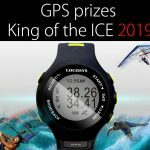 GPS PRIZES for King of the ICE 2019!